usually lengthy. When disputes arise, Medlen & Carroll, LLP's Litigation Practice Group reviews the situation to determine if the matter can be resolved short of litigation. If immediate settlement of the dispute is not possible, but both parties are interested in reaching agreement, a relatively prompt and inexpensive approach is alternative dispute resolution or ADR. If resolution cannot be achieved through this process, our attorneys counsel clients in effectively and thoroughly preparing for litigation. Preparation is the key to successful litigation. A critical first step is the evaluation of the intellectual property rights, to determine whether those rights are valid and infringed. For an accused infringer, the results of the evaluation can be used as a basis for avoiding willful infringement. For an intellectual property owner, the results of that evaluation can be used as a basis for avoiding willful infringement. For an intellectual property owner, the results of that evaluation can be used to assess the likelihood of success at trial. An important factor in the cost of litigation is the discovery process. We develop a thorough discovery plan at the outset of litigation to effectively meet the limitations imposed by many courts, and to focus discovery efforts on the critical issues. We also work carefully to eliminate issues prior to trial. Our attorneys, many of whom have technical degrees and are registered patent attorneys, routinely practice in Federal and State Courts, as well as before administrative bodies. Through our network of foreign associates, we can also assist clients when litigation occurs outside the United States. Litigation demands rigorous adherence to the rules of practice. ADR procedures are relaxed by comparison. This enables parties to tell their stories in a direct manner without concern for whether the evidence they use would be admissible at trial. The three most commonly used types of ADR are mediation, arbitration and early neutral evaluation. Mediation involves an impartial person, the mediator, who facilitates communication between parties to promote settlement. Mediation is the least adversarial and the most informal type of ADR. However, unless a settlement is reached, mediation does not result in an enforceable decision. Arbitration is a more structured form of ADR, in which each party presents its position to one or more impartial arbitrators. The proceeding concludes with a decision by the arbitrators, which may or may not be enforceable in a court, depending on the agreement of the parties. Early neutral evaluation is used by many Federal Courts to encourage prompt settlement. Typically, an evaluator with experience in the relevant area of law is appointed and each party presents its position and evidence at an informal hearing. The proceeding concludes with a decision which is not disclosed to the court. 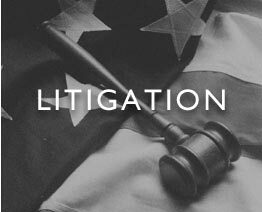 Given the potential cost and disruption of litigation, Medlen & Carroll, LLP believes a thorough exploration of settlement through negotiation offers the best initial alternatives for most clients. Very often it is possible to prevent litigation by opening a channel of communication with the other party to a dispute. If both parties are willing to be reasonable, a dispute can often be resolved quickly and at a modest cost. We almost always recommend taking this first step.